A year after the launch, Brewery Alken-Maes wanted to know how well the new Maes was being received. That is why last summer, in tandem with Fast Forward, a ‘National Taste test’ was organised spread over two weeks. The Maes bus visited every (!) 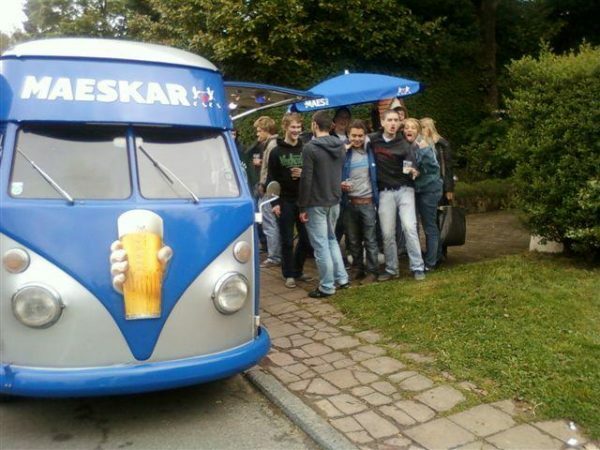 Belgian town: a fun, pimped up little bus that gave away free Maes beers to the many curious on-lookers. And, tasty or not? Anyone who took the test could text YES or NO and follow the results online. You could also have the Maes bus come to your own party if you won. All year round the bus will tour Maes pubs and sponsored events.